Yvonne Torsok is originally from Fort Wayne, IN and moved to Toledo, OH. Yvonne met her husband Jim in Toledo and they relocated to SW Florida in 2011. Having made this long-distance move, she is aware of the challenges that can be faced. 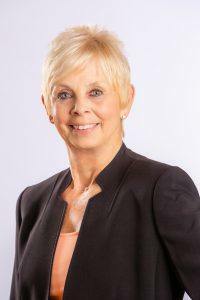 Yvonne is driven and energetic having started in Real Estate 30 years ago and is dedicated to giving “First Class” professional service to her clients. She offers honest advice that enables them to make sound decisions in the sale and purchase of real estate. Yvonne considers listening to the clients needs and communication to be of the upmost importance in working with buyers and sellers. Her phone is always on and she will return your call days, evenings, weekends, and Holidays. Yvonne holds the GRI (Graduate Realtor Institute) Designation which further shows her commitment to in-depth training in legal and regulatory issues, technology, professional standards and the sales process. She is completing her certification as a Resort and Second-Home Property Specialist (RSPS) and continues to stay abreast of changes in the industry through continuing education programs. In her free time, Yvonne can be found on the golf course with her husband or her girlfriends. Yvonne and her husband Jim love to explore SW Florida and to find new and exciting places to play and dine. Yvonne is extremely conscientious, knowledgeable and professional. She works very hard for her clients at all times and has their interest in the entire process of selling or buying Real Estate. Yvonne is also very accessible. She always makes sure she acknowledges communication, never leaves you “hanging” and will let you know when she will have a response or will be able to “talk” at a suitable time. Yvonne’s knowledge of the Real Estate Market she works in is tremendous. Real Estate is her career and not a part time job. She is serious about her responsibilities in her position, but easygoing by nature. This helps keep everyone feeling at ease, even at times when the process of buying or selling Real Estate can be stressful. Yvonne has been our Agent for the Sale of two properties and for the purchase of another property in Fort Myers, FL. The best realtor we ever dealt with very caring to your needs and she makes you feel like family and very concern about you getting the right property and value. She won’t stop until you are completely happy and delighted with your purchase of your new home.